Spring is usually the perfect time to do prescribed burns. 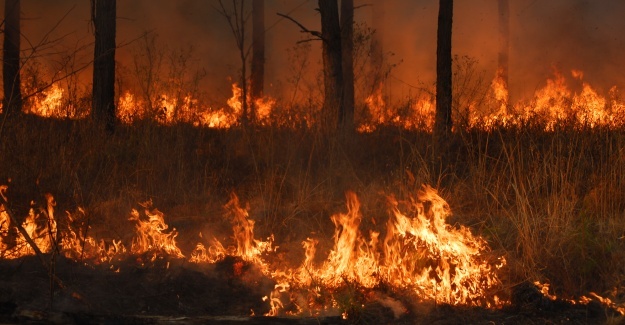 Often referred to as a “controlled burn” or “reduction burning,” it is a practice used in forest management, crop rotation, or prairie restoration. 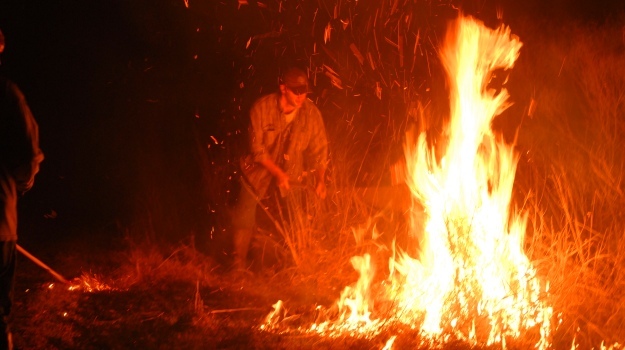 Fire is an essential part of many wild ecosystems. It will reduce plant residue build-up so as to prevent catastrophic fires in the future, and can be vital for the regeneration of many plant species. Fires generate a period of resurrection and vigor in their wake. They remove dead plant residue and release nutrients back to the environment that were locked up in mature plants and organic litter. In most areas of our country a permit is required to do one of these burns. You want the proper conditions so the fire doesn’t burn too hot. The fire should regenerate growth, not totally kill everything. 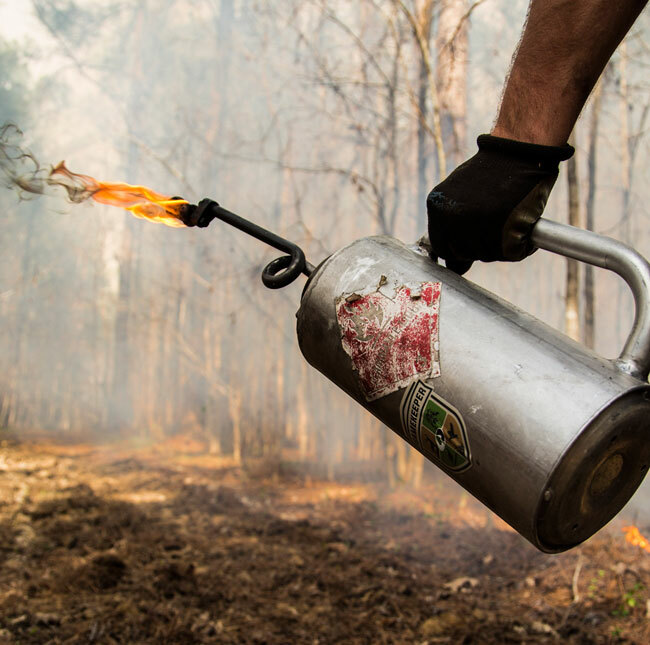 Land managers most often use a DRIP-TORCH to ignite these fires. Typically a mixture of kerosene and diesel fuel is used but sometimes heavier oils can be added to help it stick to the vegetation and increase heat and burn time. Spring is the perfect time to plant new trees, but it’s also the ideal time to release existing mast and fruit producing trees. It’s amazing how much extra yield your trees can produce if you take away all competition to beyond the tree’s drip-line and fertilize using these simple to use TREE-PAKS. With spring settling in a little sooner than normal this year, GameKeepers everywhere are getting geared up to accomplish a variety of management chores on their property or club – there are food plots to plant, trees to cut, road and trails to repair and camp house maintenance just to name a few. Along with these chores comes a few of mans' favorite toys: tractors, chainsaws, power tools, and ATVs.